The Theatre Commander of Operation Lafiya Dole, the military squad fighting insurgency in the northeast, has described as false reports claiming that 23 Nigerian soldiers are missing noting that only one soldier was injured in the ambush by Boko Haram terrorists. Major General Nicholas Rogers told Channels Television correspondent in Borno State on Monday, that there was no incident of ambush in Boboshe but rather the troops carried out operations along Kwakwa and Bula Naglin areas, also in Borno State. He explained that during the operation, some of the military vehicles were bugged down due to bad roads, during which the insurgents came on two occasions to attack but were repelled by the joint efforts of the Nigerian Air Force and Army troops. He disclosed further that one officer and a soldier were injured, with over 22 Boko Haram members killed during the incident, while some of the bugged down vehicles have been recovered and more troops deployed to the area. 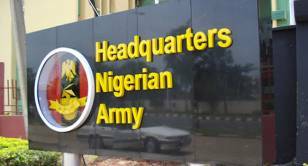 Channels Television also contacted the spokesman of the Nigerian Army, Colonel Texas Chukwu, who promised to release a formal statement on the matter. It was reported over the weekend by some media that at least 23 Nigerian soldiers are missing following an ambush by Boko Haram insurgents on a military convoy at Boboshe Village in Bama Local Government Area of Borno State. Eight out of 11 trucks which were mobilised to clear insurgents from the village are also said to be missing after the ambush which reportedly occurred on Saturday.